Come and enjoy your stay in Frías, Burgos. Which has the honor of having the title of "the smallest city in Spain." 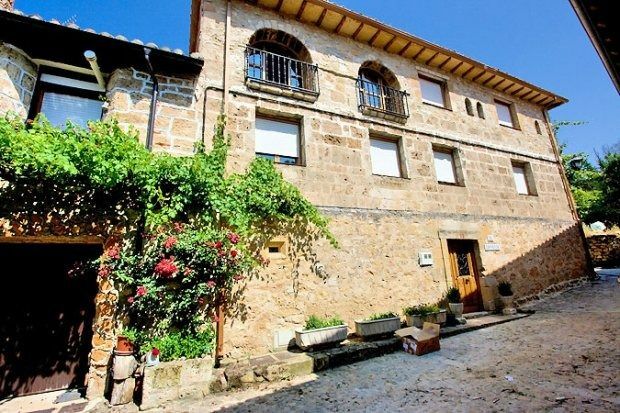 If you still do not know, Frías is one of the most beautiful medieval towns in Spain and if you already know it, we can only invite you to spend your stay in our Rural House El Convento de Vadillo. Our Rural House El Convento de Vadillo, is a stone house, part of the old Santa María de Vadillo Convent, founded in the 13th century and managed by the Canons of San Agustín. The Rural House El Convento de Vadillo has: - A beautiful and flowery garden, with a beautiful barbecue grill in stone, garden table and chairs for you to have a wide area of ​​relaxation for you and yours. - 3 double rooms, are 6 beds with the possibility of an extra bed to make a total of 9 beds. - Living room with fireplace - Wood stove and large dining table (14 people). Note: The 3x2 offer is not included in the bridges ..